Do you have a noisy or constantly running toilet that just won’t shut off? Or, worse, is your toilet no longer flushing? Luckily for you, we can solve these problems and much more with our top quality toilet services! It can be hard to determine exactly what is going wrong with toilets. However, you can count on our professionals to find and fix whatever problem you’re experiencing. Call us at 614-276-1510 for your toilet repair or replacement in Columbus, Ohio! 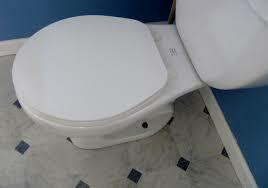 Your toilet may need a repair if it has a leak, won’t flush or constantly runs. These problems are no match for our experienced plumbers, who can address the problem and repair or replace the part that causes it! Whether the flapper is the culprit or the chain, lever or pump, we can find and fix it. Our pros can have your toilet back to working condition in no time! It’s important to fix toilet problems like constant running that don’t necessarily affect your ability to use your toilet. Constant running means your toilet is using excess water which can increase your utility bills! In the end, it’s much cheaper to hire a plumber and fix any issues than it is to deal with the plumbing problems. If your toilet is older or if the repair cost would outweigh the cost of simply replacing the toilet, we are also the plumber for the job. Our company carries only the best brands and we have several options to choose from. We can recommend the toilet that would best fit your home, needs, and budget. 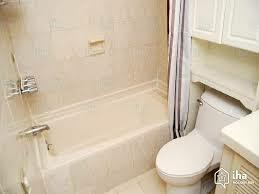 If you’re in need of a toilet replacement, don’t hesitate to contact us for our toilet installation services! Our pros replace and repair toilets in Columbus, OH homes to keep this important fixture working smoothly. Whether you need a simple repair or even just an inspection for preventative maintenance, you can count on us! Let DrainMaster take care of any toilet problems you’re experiencing. Call 614-276-1510 and we can fix your running or clogged toilet in no time at all!